Maybe this is your first time here, the again maybe it isn’t, but let me let you in on a secret…I LOVE kayaking. From my first kayaking trip stargazing in Merriet Island I was completely hooked. We took the 45 minute drive out to Tampa on sunny Sunday morning. Let me save you some time here – the place was a complete waste of time. Pull into their dirt parking lot and walk around front into their gift shop. They will have you sign a waiver (you can do this in advance online) and you will have to watch a manatee safety video. They gave us a rough, paper map and told us to walk three blocks down to the water dock in order to get our kayak. A flimsy, plastic sit-in kayak awaited us at the water with staff to help push us off. The paper map they gave us immediately was soaked. The small lake that they pushed us off into? Take a look in the water and you can see dead fish floating moldy at the bottom of the lake. Follow the teams instructions and head to the right. It will lead you into a large canal filled with speed boats, drunk people and trash. Only experienced kayakers should attempt this. Several speed boats almost capsized us, we had to paddle for our lives to cross the large canal into the marsh on the other side. The one positive? Once we made it to the marsh (about a 30-45 minute heavy paddle) we ran into, litterally, a pod of dolphins feeding. Scary, but so incredible. As a storm rolled in we decided to make our way back across the canal and to the dock. Making our way through the large speedboats. 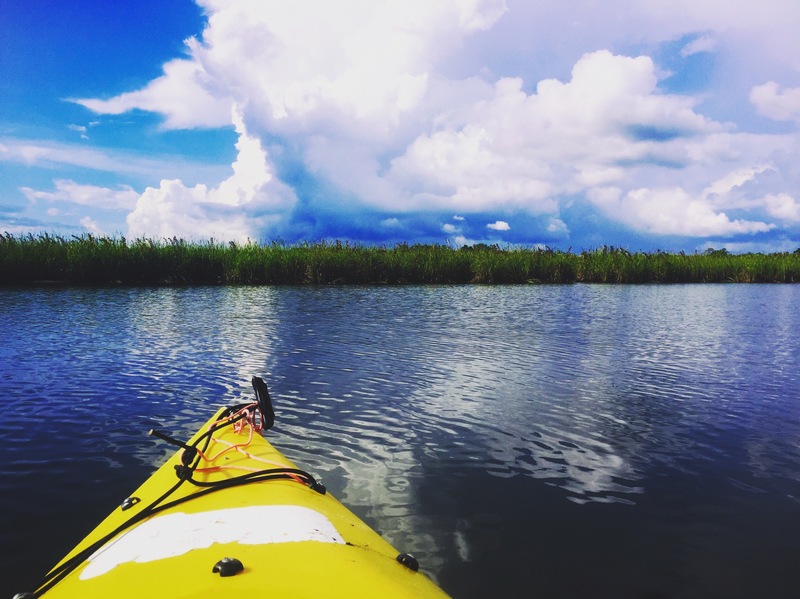 If you are wanting to kayak to see wildlife, Florida offers so many more incredible kayak experiences. 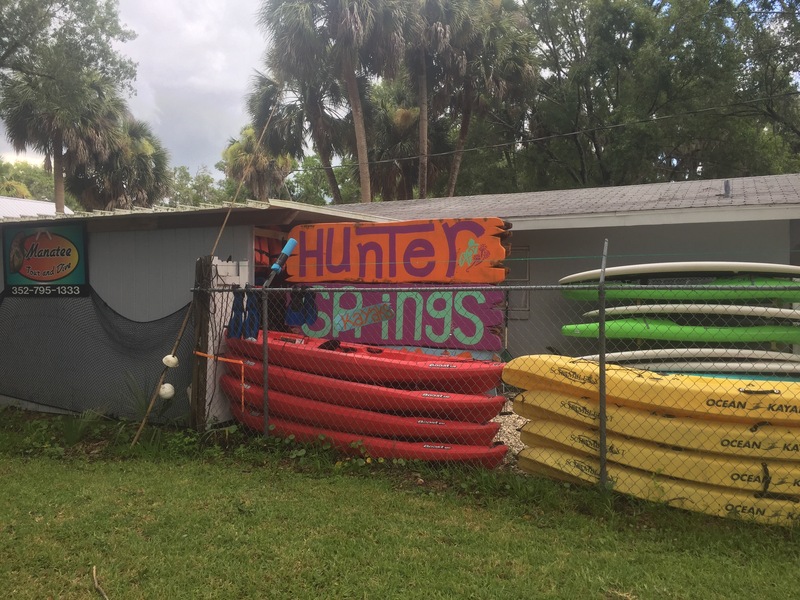 Check out Blue Springs, Crystal River or even Wekivia (on a good day). But make sure to stay away from Rainbow River, it’s honestly not worth the time.